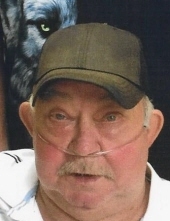 A Taylorsville resident, Mr. Jerry Lynn Lewis age 69, passed away Saturday November 24, 2018 at his residence in Taylorsville Ky. Jerry was born on November 8, 1949 in Marion Co., Ky. to the late Chester and Lena R. Mattingly Lewis. Jerry was a former Millwright for Ford Motor Company and of the Baptist faith. He is survived by his fiancé Darlene Shelburne and her children Kimberly (Joe) Turner and Clifford Troy Shelburne all of Taylorsville Ky. 1 sister, Rebecca Stark of Louisville Ky. And Darlene’s 3 Grandchildren also survive. Cremation was chosen by the family. There will be no public visitation or services. Greenwell-Houghlin Funeral Home in charge of arrangements. To send flowers or a remembrance gift to the family of Jerry Lynn Lewis, please visit our Tribute Store. "Email Address" would like to share the life celebration of Jerry Lynn Lewis. Click on the "link" to go to share a favorite memory or leave a condolence message for the family.